If your office is a bustling headquarters full of people who work as hard as they can for the good of your business, chances are it can grow messy and/or cluttered fast. People who are striving from the minute they enter the door until they leave can hardly be blamed for letting untidiness amass and dirt collate. However, such is the pace of things in active offices; employees often don’t have the time or energy to tidy up themselves. 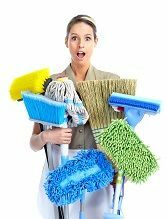 If this problem sounds familiar, then you’ve certainly come to the right place – Kensington Cleaners offers comprehensive W10 office cleaning services Kensington. We know how vital it is for business owners to keep their offices free from dust, bacteria, dirt, stains and disagreeable aromas, which is why we’re Kensington’s number one source for all-inclusive W11 office cleaning services. Our services can be arranged at a moment’s notice, by giving us a call on 020 8396 6100. Why not drop us a line today? As Kensington’s leading office cleaning company, it almost goes without saying that we offer every type of office cleaning service – no matter the size of your business, or the size and shape of your offices, we’ll be able to clean them to the highest standards. That’s a cast-iron guarantee. Our experience, expertise and techniques mean we can amend and modify our services specifically to suit you, and your specific needs. Every corner and cranny of your office’s interior will be meticulously cleaned and returned to their former glory – no dirt, stain or dust will be spared! We also offer surprisingly competitive rates for all of our cleaning – we understand that company budgets aren’t what they were in the current climate, so no matter if you’re a publicly listed company or an independent retailer, you’ll be able to afford our W11 office cleaning services! When you enlist us to clean your office, you have the option of hiring us for a one-off saturation clean, or contracting us on a long-term basis, meaning we visit you at times and on dates pre-agreed with you. If you hire us to provide your long-term office cleaning services, we’ll assign you your own professional office cleaning team W10 – you’ll quickly get to know and trust them. They’ll also understand your particular needs and desires, and what you’re expecting out of our office cleaning services, ensuring you’re satisfied each and every time they visit you! However, our staff are nothing if not adaptable, and are receptive to feedback and guidance from customers – they will adapt to your needs and schedule whenever and wherever possible. Before we even dispatch a cleaning squad to your premises, we’ll send a representative to your offices to map out your office environment, and draw up a cleaning plan, which will make the cleaning process go as speedily and efficiently as possible. We understand that you take pride in your work, so we take pride in ours! We will struggle tirelessly to ensure that your office is a cleaner, happier place for you and your employees to be when we’re finished. We at Kensington Cleaners are confident that you will simply love our Kensington office cleaning services W10 that you won’t enlist the services of another office cleaning company W8 ever again – we’re certain we’ll see you more than once! If your office is in regular need of a comprehensive cleansing, then contact us today. We’d love to hear from you, and will offer you a free quotation over the phone! Call us today on 020 8396 6100 now, and we’ll get cracking on building you the best office cleaning services package that money can buy!